Using Escrow.com for many years, it’s been overall a great journey with very little issues here and there. But that’s part of life and it happens. 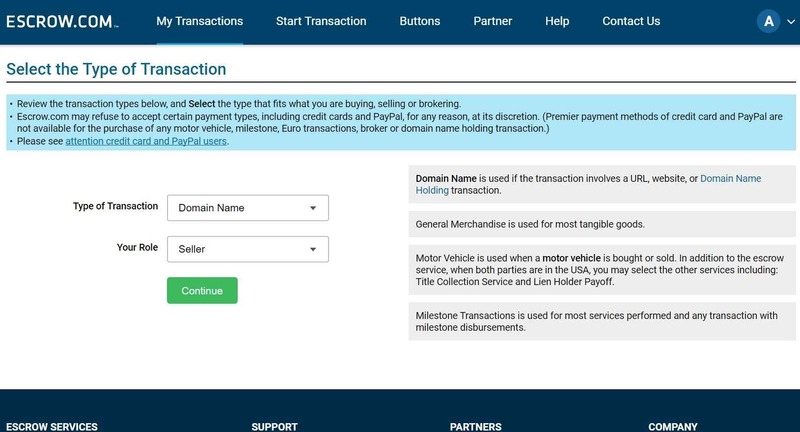 Anyone using Escrow.com must have dealt with buyers who sometimes try to show that are newbie in terms of using Escrow.com and they have no prior knowledge about using their service. There could be many ways to find if the potential buyer has been a regular buyer but I wanted to share a new way which I’m sure most aren’t aware of it yet. 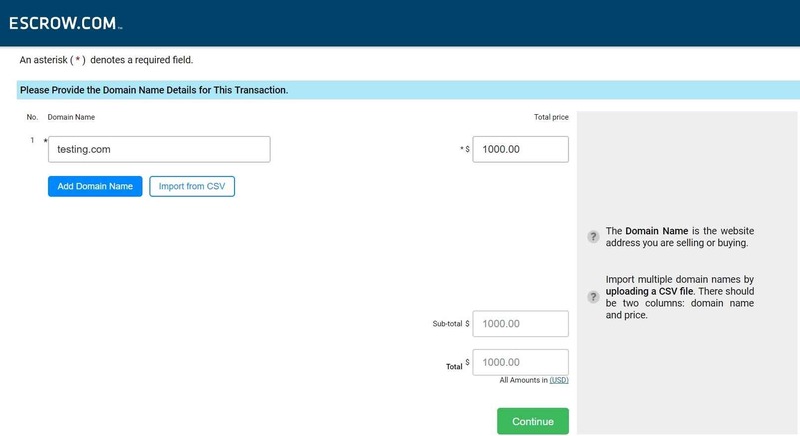 Simply login to your Escrow.com account and try creating a new transaction by clicking Sell button as shown in below snapshot. Now in below snapshot, I have entered sample Transaction Title but correct E-Mail address of Buyer and you must enter the correct one as well because that will show at the last step whether buyer already has an account with them or not. Enter any domain such as testing.com and click Continue. 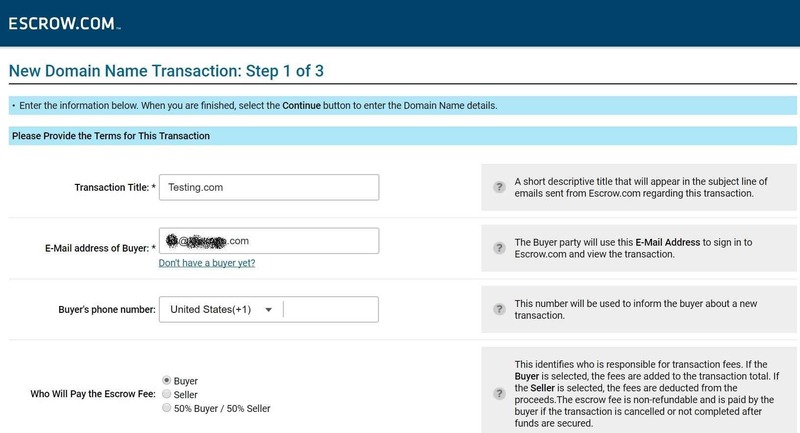 As you can see in the below snapshot that with next to “Buyer” field, it’s showing a name and email address which confirms the buyer already has an Escrow.com account. If someone has not opened account yet, the name and email ID won’t appear next to “Buyer” field. 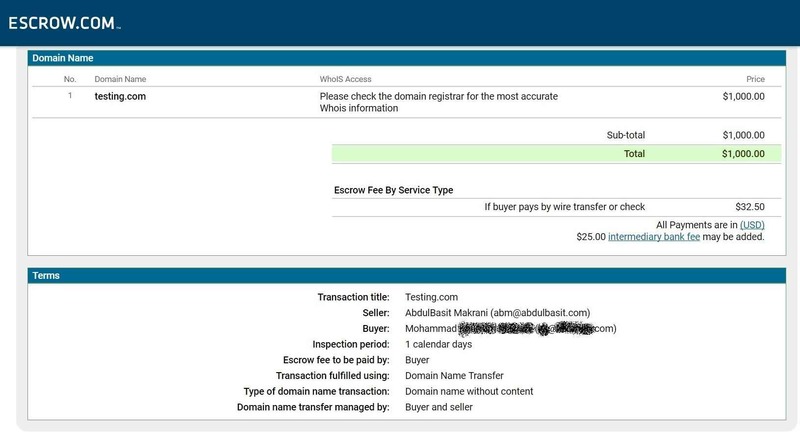 After buyer will create account, his name through which he opens account either with his own name or company name and email ID, it will appear. It’s a little useful trick to outsmart your potential buyer by checking this way in advance. Kindly note that this will neither let buyer know about this check nor the transaction will be created. You may simply close the page at the last step in case you are just checking it. Have any of you tried this before? Did you found it useful? Feel free to share your comments below. Great advice! Thanks for share. Thanks for the tip Abdul. Have you sold any domains lately? 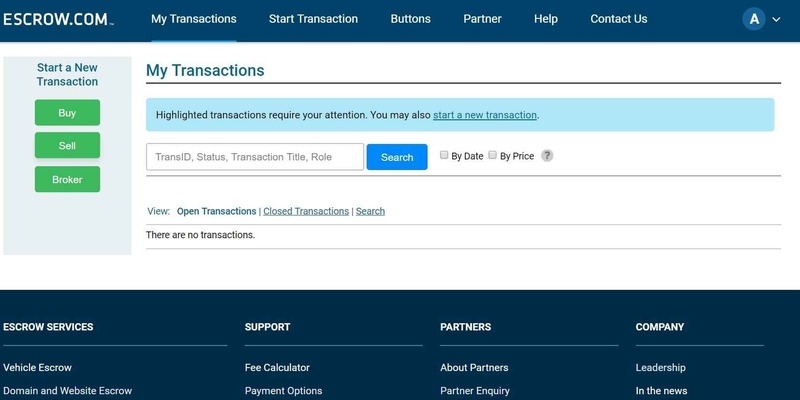 Thanks for sharing this tip in regards to using escrow Abdul! Now they revised site and you can’t do this. Not everything is worth sharing in the public forum. Now this cost yourself and us domainers a valuable tool all so you could get some pageviews? That’s the way you think. I can’t help you anymore and don’t bother giving any pageviews if you think that’s what I’m after! many have been aware of this for years but now its gone. i’m sure that wasn’t your intention but thats what happened..